Getting the most from your modem? Connecting at optimal speed? We can help. The latest technology in wireless internet. Modem & Hardware Assistance. Enjoy the best mobile data experience in more places with four times the 4G coverage area of any other data network. A new breed of USB with Wi-Fi. Plug in and connect to any USB enabled device to the internet, such as your laptop or PC, with our USB. You can also share up to 5 Wi-Fi enabled devices. The next generation of USB that supports 4GX. Indicator lights let you know your connection status and when your data is low. A new breed of USB with Wi-Fi: a new breed of 4G device that uses superior 700 MHz spectrum for improved 4G in-building coverage and typical speeds from 2 to 75Mbps in 4GX areas in Australia. Access Wi-Fi on the road, on site or in client meetings, and connect up to 20 devices simultaneously with the world’s fastest and feature-rich hotspot. Create your own private and secure Wi-Fi network where you can maintain a connection up to 45 metres in any direction, even as you move about (subject to building conditions). Say goodbye to running out of battery on your Smartphone, tablet or laptop by connecting devices to charge when you’re out and about. It’s secure and simple to use with no need for professional installation, installation fees or a separate service contract. Plus you can plug an external hard drive into the router to allow all connected users to access the same information. It’s the fastest device ever launched in the world and it is exclusive to Telstra. Connect up to 20 devices simultaneously. Media sharing capability: plug an external hard drive into the router and all connected users can access the data on the hard drive. Travel router: plug in an external internet connection i.e. if travelling and staying at a hotel, you can plug into the hotels internet connection via the LAN port and utilise the router and media sharing while using the internet usage of the hotel. Boost charge: connect devices via USB to charge when you’re out on the road without access to power i.e. Smartphones tablets and laptops. Wi-Fi range: maintain a connection of up to 45 metres in any direction, even as you move about (subject to building conditions). Compatible O/S: Windows 7 & later, Apple Mac OS 10.7 & later. The Telstra Mobile Network is Australia’s largest mobile network covering more than 2.3 Million square kilometres – that’s over twice what the other networks say they cover. The Telstra Mobile Network also offers four times the 4G coverage area of any other mobile network. Telstra 4G is available in all capital CBDs, many suburban areas and over 300 regional towns across Australia. The Telstra Mobile Network is Australia’s largest mobile network covering more than 2.3 Million square kilometres – that’s over twice what the other networks say they cover*. The Telstra Mobile Network also offers four times the 4G coverage area of any other mobile network. Enjoy the best mobile data experience in more places with four times the 4G coverage area of any other mobile network. With more than 3500 4G sites, Telstra 4G is available in all the capital CBD’s, many suburban areas and in over 300 regional towns across Australia today. Telstra has invested in more mobile coverage sites across city & country (>7,800) than any other Australian mobile network, so you can enjoy greater and more reliable mobile coverage with fewer dead spots. Enjoy a more reliable connection that has fewer drop outs and works better in more places, including in buildings, than any other Australian mobile network. 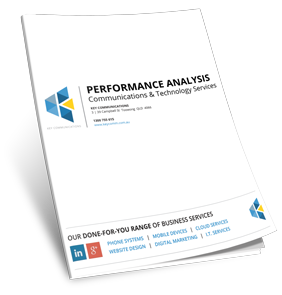 Are you satisfied with your Business communications? We understand better than most the impact technology is having on the way Brisbane businesses are communicating, our aim is to provide more than a list of the latest mobile phones, we want to equip you with a strategy for modernizing your business communications.